Recent police raids in the Czech Republic, as well as research by FOUR PAWS have shown that the tiger trade is not only an issue in Asia. The lucrative commercial trafficking of a highly protected species and its body parts is taking place right in the heart of Europe. FOUR PAWS has discovered that tiger traders operating in Europe are willing and able to facilitate the transfer of tigers to Asian countries where demand for their body parts for use in traditional medicine causes mass cruelty and has led to the decline of the species. Protect this beautiful endangered species! At the same time, Czech authorities have struck a blow against wildlife traffickers by conducting a series of raids in connection with a zoo suspected of killing tigers and members of the Vietnamese community believed to be in possession of tiger products. One of the facilities targeted by the raids belongs to a well-known circus manager. Research conducted by FOUR PAWS in June revealed a meeting at which the person in question proudly presented his tiger breeding facility near Prague and willingly discussed the sale of tigers to Asia. The trader offered to sell the animals to Asian buyers, help to obtain documents and facilitate the transfer. In the course of the twentieth century, the world already lost over 90 percent of its tigers, while current estimates suggest that there are only around 3,900 tigers left in the wild. The relentless demand for tiger parts as well as for animals to be displayed commercially has significantly contributed to the decline of this species. Legal trade often facilitates illegal trade, posing a real threat to the population of wild tigers. Shockingly, tigers born in Europe in captivity are still traded for commercial purposes: for the circus ring or private keeping, as well as for photo opportunities. 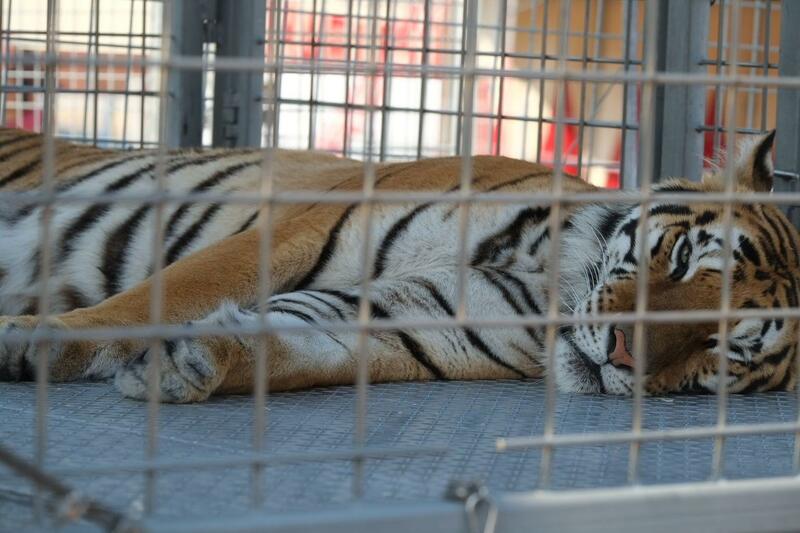 In some European countries, you can even rent a tiger for private parties! Read more about this on our new campaign site. The price of a tiger in the EU is between € 4,000 and € 22,000. 1,412 tigers bred in captivity were exported from the EU between 1999 and 2016. 8,278 illegal tiger products (including tiger soup cubes, teeth and claws) were seized during the same period. The price of a kilo of tiger bones is € 1,700. 3,900 tigers currently live in the wild. 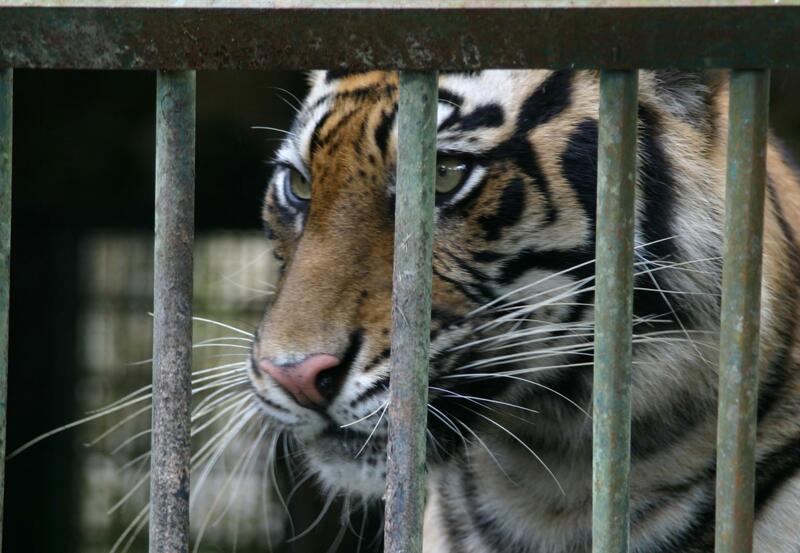 The number of tigers kept in captivity across the world is unknown. Further alarming information about the critical state of tigers can be found in our latest press release. On July 16, Czech authorities discovered a dead tiger as well as tiger skin, claws, bouillon cubes and broth – also called 'tiger wine', made from tiger bones – on a property near Prague. The EU must act to protect this endangered species and ban all commercial trade, ensuring that tiger traders and businesses have no place in the EU!